NASA’s Tracking and Data Relay Satellite System started operations in 1983 when the first TDRS Satellite was launched aboard Space Shuttle Challenger. The satellite constellation became a necessity when NASA’s started to fly the Space Shuttle. Before the Shuttle Program, manned and unmanned spacecraft communicated directly with ground stations that NASA and the United States had deployed around the globe, but these stations were unable to cover the entire orbit of the spacecraft – a requirement for frequent human space flight or space station operations. 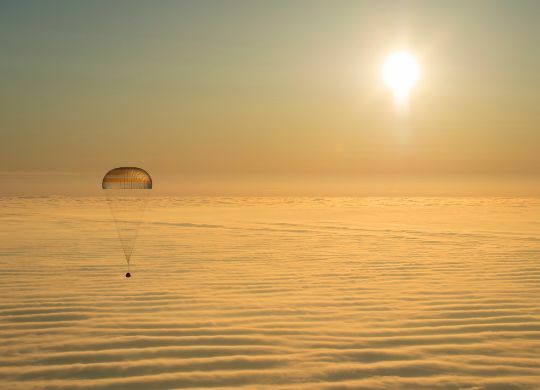 To achieve a global coverage of their low-orbiting spacecraft, NASA decided to deploy a fleet of satellites in Geosynchronous Orbit. A total of 11 TDRS Satellites were launched to date, one was lost in the Challenger disaster in 1986. The first seven spacecraft were built by the TRW corporation and were orbited between 1893 and 1995 by the Space Shuttle, while the second generation of spacecraft was built by Boeing with three spacecraft being launched atop Atlas launchers in 2000 and 2002. TDRS-K was the first third-generation TDRS satellite launched atop an Atlas V in 2013. Three TDRS satellites are required for global coverage while the rest of the constellation act as on-orbit spares that can be switched to primary mode within a short period of time should an active TDRS Satellite fail. TDRS satellites can also be co-located to operate from similar orbital positions to support high communication demands. The second generation of TDRS satellites greatly enhanced the system’s capabilities enabling much faster data rates for up- and downlink and the third generation is continuing to improve TDRSS’ capabilities. The TDRS System is supported by a ground segment that communicates with the satellites in Geosynchronous Orbit. Two ground stations are located at the White Sands Complex (WSC) and the Guam Remote Ground Terminal (GRGT). The space and ground segments are controlled from the Network Control Center at NASA’s Goddard Space Flight Center in Greenbelt, Maryland. 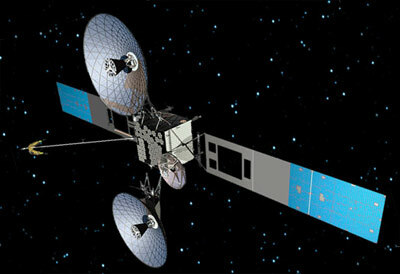 To further improve the system and add new satellites to the constellation, NASA plans to orbit the third generation of TDRS Spacecraft between 2013 and 2015. The TDRS-K, L and M satellites are being built by Boeing to be launched on ULA Atlas Rockets. For the TDRS fleet, satellites receive a letter designation during planning, manufacturing and initial on-orbit operations before being given a number when they begin nominal on-orbit operations. TDRS-L will be TDRS-12 once operational. 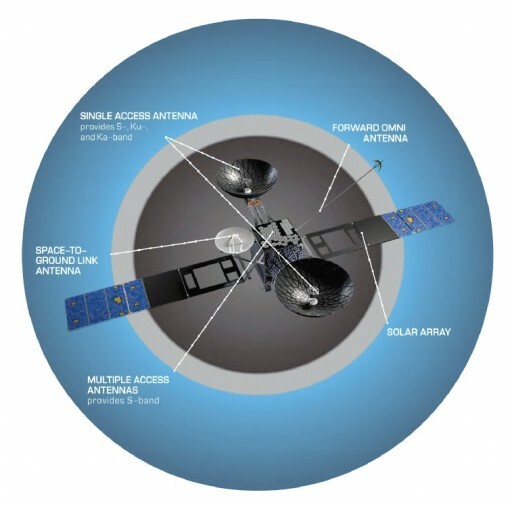 The satellite is based on Boeing’s BSS-601HP Satellite Bus that can host communication payloads of up to 60 transponders with a power of up to 10,000 watts. The 601 satellite body consists of two segments, a primary structure that facilitates the propulsion system, electronics and batteries, and a honeycomb structure that holds the communication payload, associated electronics and thermal control equipment. TDRS-L has a liftoff mass of about 3,450 Kilograms. Two 4.6-meter flexible mesh antenna reflectors are installed on the vehicle that can be folded up for launch and deployed once on station. These are steerable, single-access antennas that can transmit and receive at the same time at S-Band frequencies and Ku- or Ka-Band, so that dual two-way communications are possible. Additionally, the satellite features an S-Band phased array antenna that can receive signals from multiple spacecraft and transmit to one. The power system consists of two deployable solar arrays and on-board batteries. Nominal solar array power supply is 3,220 Watts during the autumnal equinox and 2,850 Wattds during the summer solstice. Power is stored in Nickel-Hydrogen Batteries. The satellite features an onboard propulsion system centered around a R-4D-11-300 engine. “The TDRS satellites provide NASA with crucial crosslink communications between orbiting spacecraft and control and data processing facilities on Earth,” said Craig Cooning, vice president and general manager of Boeing Space & Intelligence Systems. 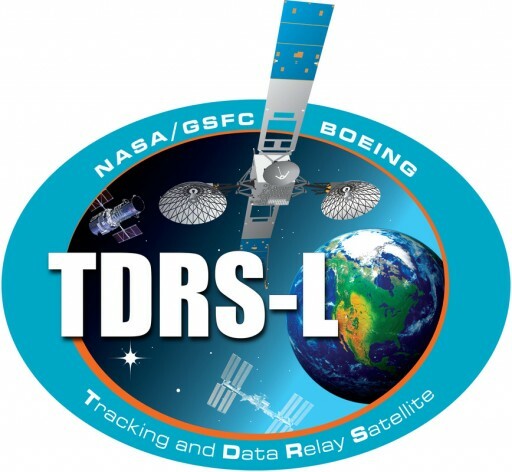 TDRS-L will operate for at least 15 years.